I am not exactly the most natural when it comes to cooking and baking. I get very intimidated and stressed out in the kitchen. Cooking is not my thing. I am always worried I am going to kill Husband. I have been told I would be better at baking because things have to be exact and that’s the issue with cooking is that well, it’s not as exact. 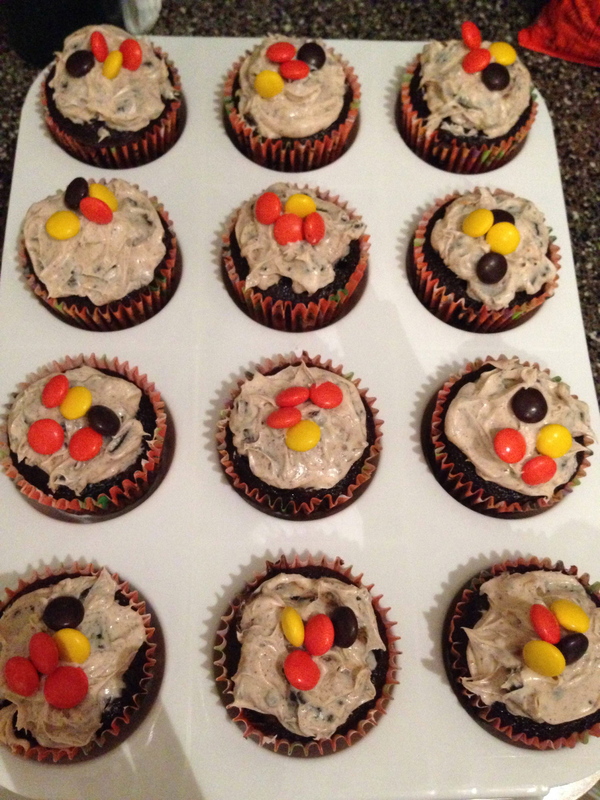 I had the genius idea that I would bake Halloween cupcakes for Husband to take to work. I was actually pretty excited and feeling empowered. I had even found a clever recipe to use. At lunch today I bought all the ingredients and after work I decided to begin. All was going well and according to plan, and just as I had put my first batch of 12 in the oven I thought wow, not too much to clean up. Then it hit me- I forgot to mix in the eggs. On a boxed cake requiring only three ingredients, I forgot one of them. As I tried to decide what to do I figured I would just let that batch go. There was no hope and no saving them. I decided I would just mix the eggs into the remaining batter. 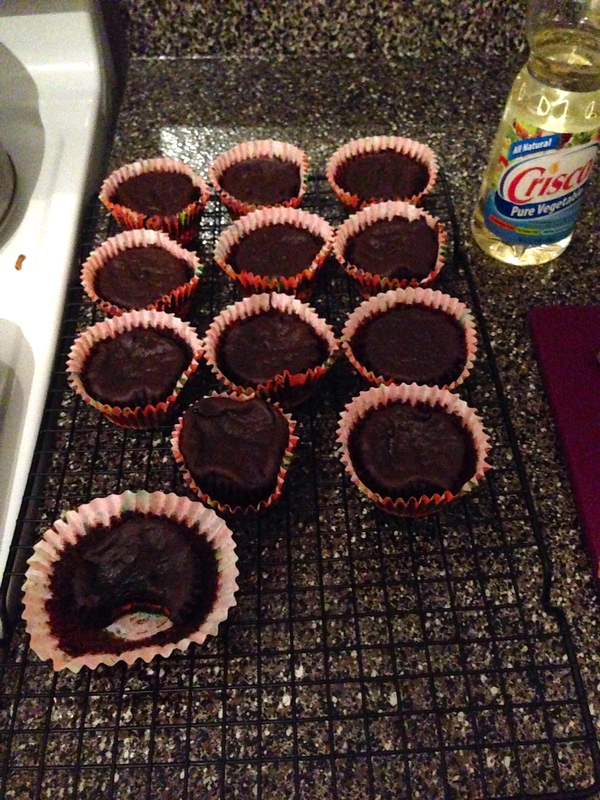 Then I proceeded with baking the rest of the cupcakes as planned. There was another tricky part though…the batter now was not as thick after adding the eggs. I don’t think it was ever supposed to be thick but when it was thick it was easier to put in the liners. The thin batter was thinner and trickier- it actually just required more patience. Do you struggle with patience? Do you believe sometimes we can struggle with being patient not only with others but patient with ourselves? Are you a natural chef or baker? Have you ever forgotten an ingredient in a recipe? What do you think of my cupcakes? This entry was posted in Uncategorized and tagged holidays, lessons learned, Multiple Sclerosis, my mom has ms by AG. Bookmark the permalink. The cupcakes look good! As for the patience? Like any other skill it takes time to learn. Keep at it, you will get better. We only truly fail when we never try.